As part of its ongoing efforts to foster more innovation and entrepreneurship, Fairfax County will contribute $1 million to help Reston-based innovation hub Refraction expand. The investment is anticipated to generate 800 new tech jobs, train 2,500 workers and lead to $200 million in new capital investment over the next five years. It will also support the nonprofit’s new apprenticeship program, jointly developed with the Northern Virginia Community College to train talent for startups and high-growth companies. The Board of Supervisors approved the economic development funds at their Nov. 20, 2018 meeting. 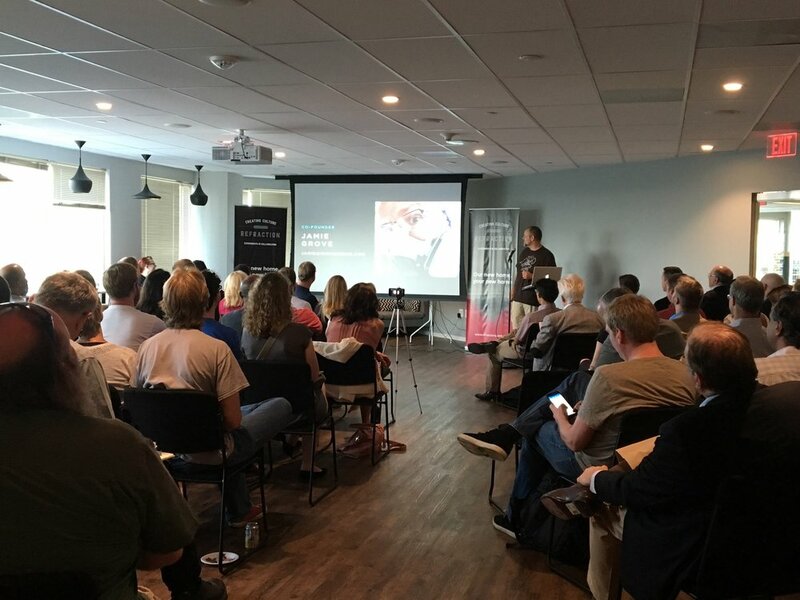 Refraction provides a collaborative and open community for startups and high-growth companies, offering educational programs and networking and mentoring events. In addition to its work with entrepreneurs and startups, Refraction will partner with the county’s chief equity officer and public schools to train girls and students from underrepresented and economically disadvantaged communities on entrepreneurship skills. The focus on women and minorities is especially important, county officials say. It supports the county’s social and racial equity policy called One Fairfax, as well as the tech industry’s efforts to increase the diversity of its workforce. The county’s funding will also help the innovation hub move into a significantly larger space in Reston. Refraction is facing increasing demand for its services and is committed to staying in Reston, despite offers from other jurisdictions to relocate. In the five years since its founding, Refraction’s track record has proven its value to ecosystem. More than 100 companies have been members of the Refraction community, collectively raising $126 million in capital. Under its agreement with the county, Refraction will report its financial results and success metrics annually. Fairfax County wants to nurture more tech startups because they produce an outside impact on the economy. Startups account for nearly all net job creation, according to multiple economic studies. Technology firms also produce new jobs outside the industry and boost social equity, finds University of California economist Enrico Moretti. Every new high-tech job creates five additional professional and nonprofessional jobs in the local economy.